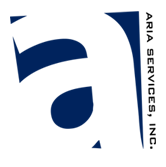 PROJECTS - Aria Services, Inc.
Construction Drawings and Site Visits, Structural Analysis and Mappings, Geotechnical Exploration. 2013 LTE and CDMA Co-Locate in TX for 26 sites. Structural Analysis and Tower Mappings on select sites.